Greubel Forsey goes all out with its entry-level Signature 1, giving it a movement that is constructed and finished to the nth degree. 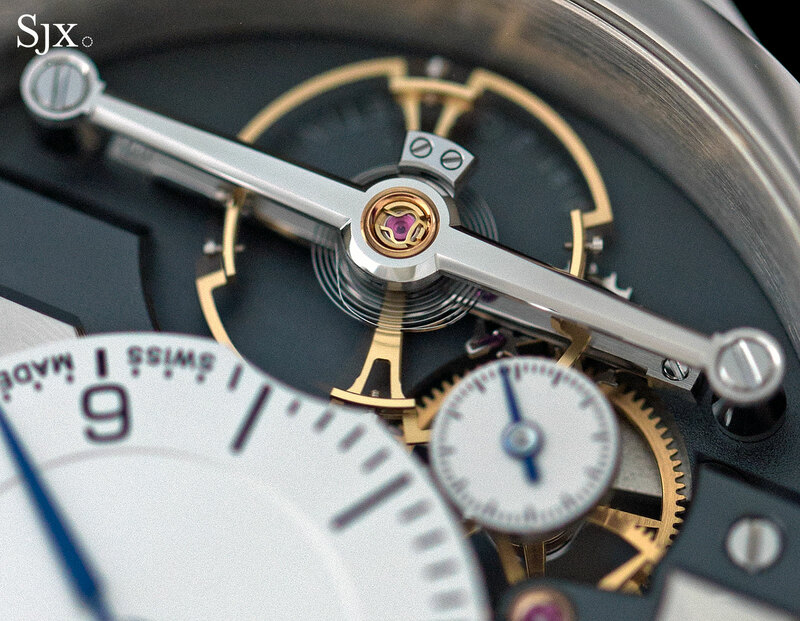 Entry-level watches are all the rage now, even at watchmakers like Greubel Forsey, a specialist in exquisite and expensive tourbillon wristwatches. Introduced earlier this year at SIHH 2016, the Signature 1 is the entry-level Greubel Forsey. The Signature 1 has no complications, it only tells the time, but the quality of construction and finishing is impeccable, as good as that on Greubel Forsey’s pricier timepieces. 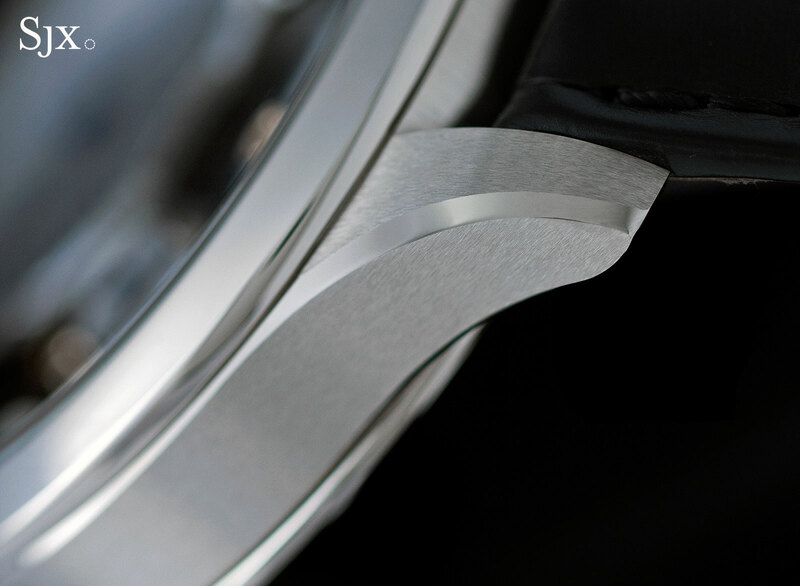 The Signature 1 is hand-wound, showing the hours, minutes and seconds. 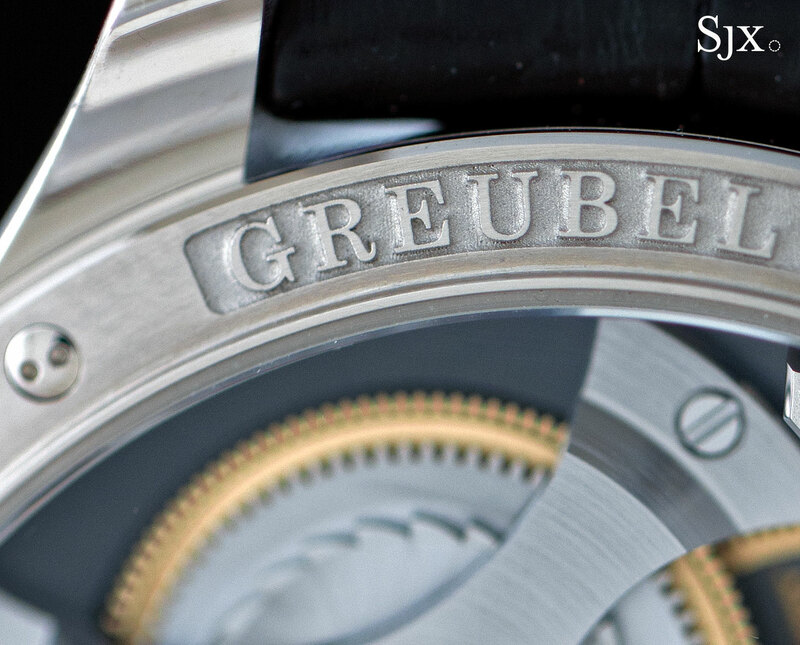 Despite being simple in function, the dial looks slightly complicated in the typical style of Greubel Forsey. 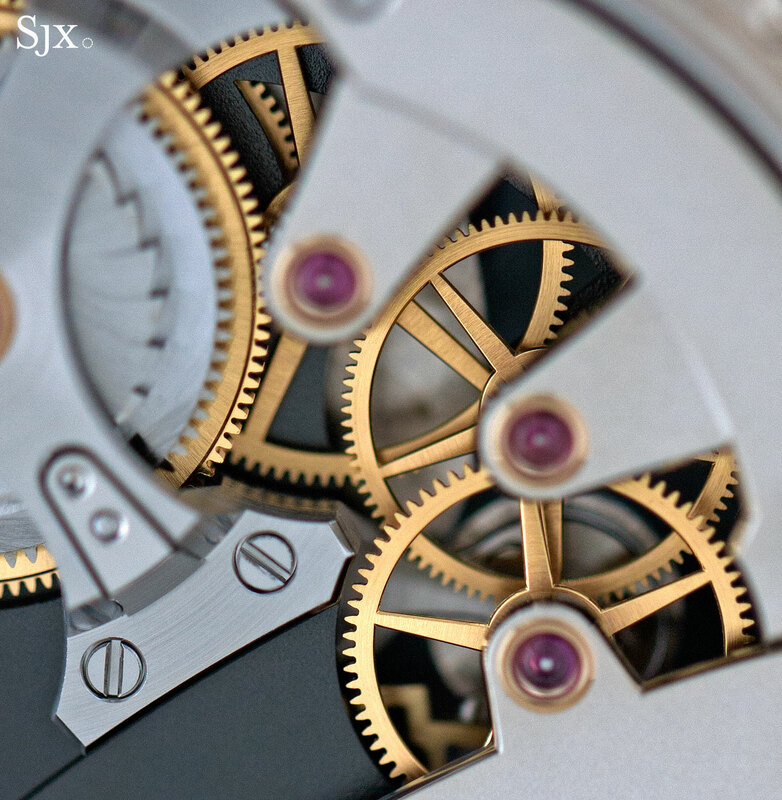 The time is on an off-centred sub-dial, with the gilded wheels of the gear train exposed. One’s eye is immediately drawn towards the large balance wheel that’s almost 13mm in diameter, held in place by a long steel bridge. 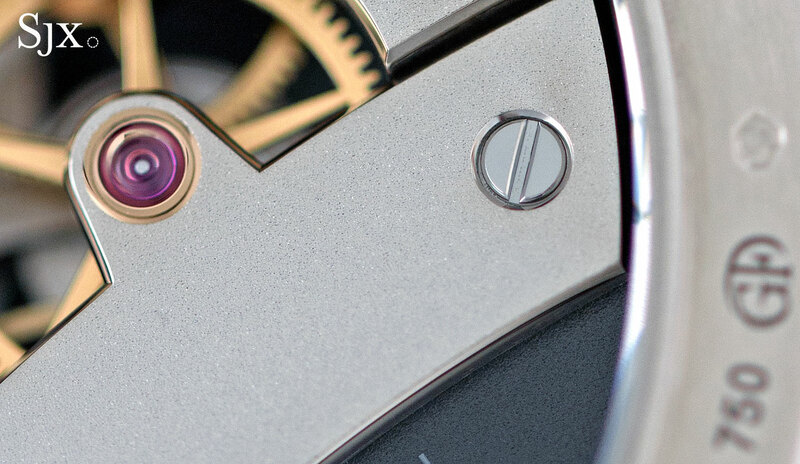 While the visuals of the watch aren’t extraordinary, the Signature 1 is quietly handsome. More impressive is the quality of the watch. 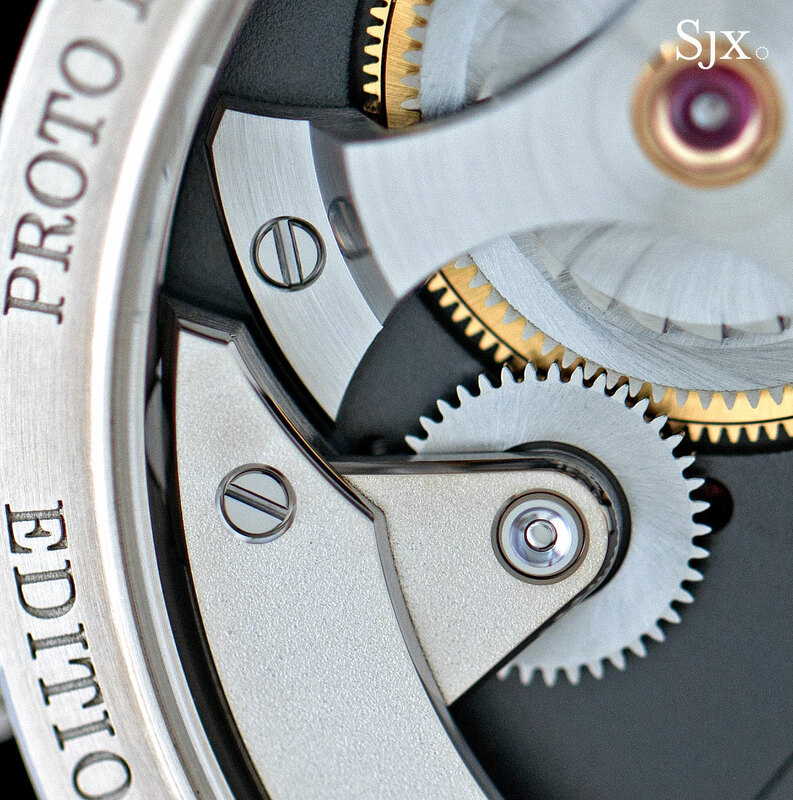 The hand-finishing of the movement is outstanding. Every component, even the most minor and obscure bits, is finished to a high degree. Take for instance the blued steel hands, all of which have mirror-polished, bowl-shaped countersunk centres. And the dial, though plain looking, is actually a disc of silver-plated solid gold. 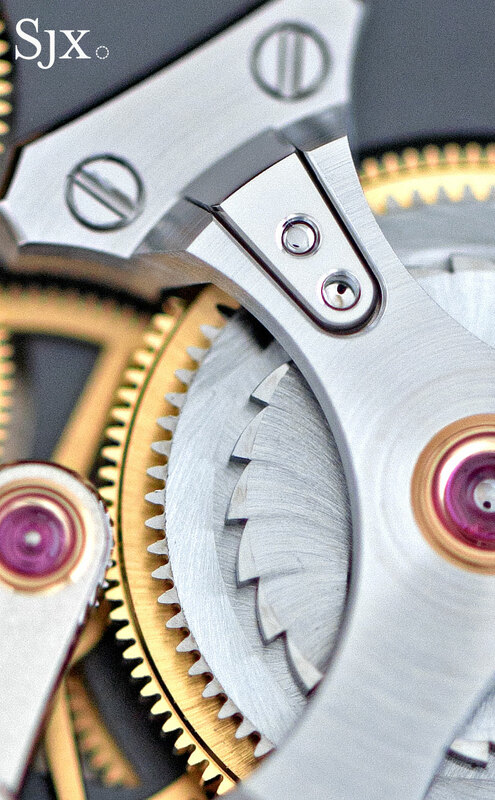 Even the edge of the dial is bevelled and polished; the slightly cutaway at seven o’clock to accommodate the balance wheel is a pleasing detail. 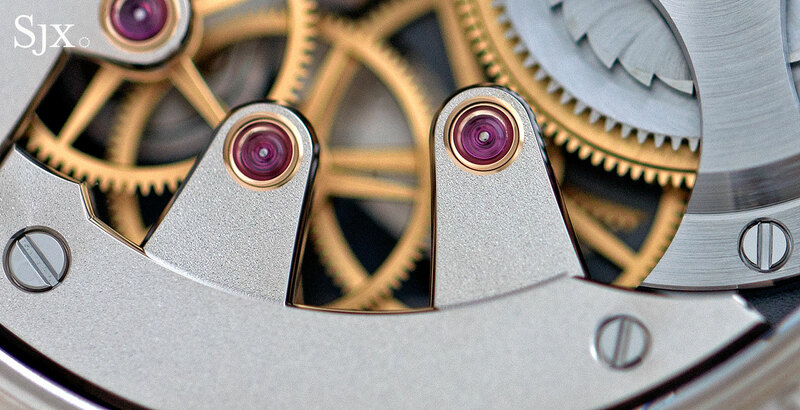 Another delicious detail is the bridge for the escape wheel, which sits below the balance bridge. Though hardly visible, it is still finished with straight graining on the top and sides, with polished bevels on all edges – and chamfered edges on the head of the screw that holds it down. Though smallish by Greubel Forsey standards, the Signature 1 is not a little watch. It’s 41.4mm in diameter, and slightly under 12mm thick. That’s large enough to give it presence and weight, even in stainless steel. And the case is also carefully finished, with neat brushed surfaces separated by a polished bevel. On the reverse the finishing is even more impressive, because there is more to see. Despite being uncomplicated the movement has been constructed to show off most of the mechanics. The black-coated main plate serves as a canvas, with the bridges cut away to reveal the components underneath. At the top left is the barrel, topped by a strikingly serrated ratchet wheel under a three-legged barrel bridge. The size and shape of the barrel bridge gives it an architectural feel, a quality frequently found in Greubel Forsey movements. 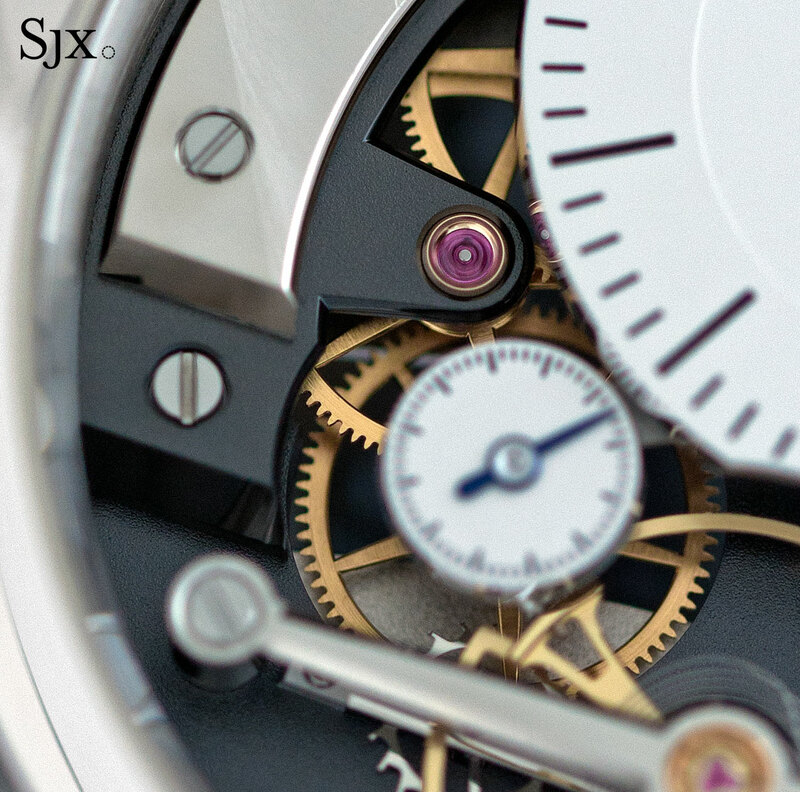 The style of the movement is inspired by vintage pocket watch movements. All of the bridges have a smooth frosted finish, with wide, polished bevels on their edges. Most of the bridges have straight outlines, though there are enough inward, sharp angles amongst them to satisfy an aficionado finicky about finishing. 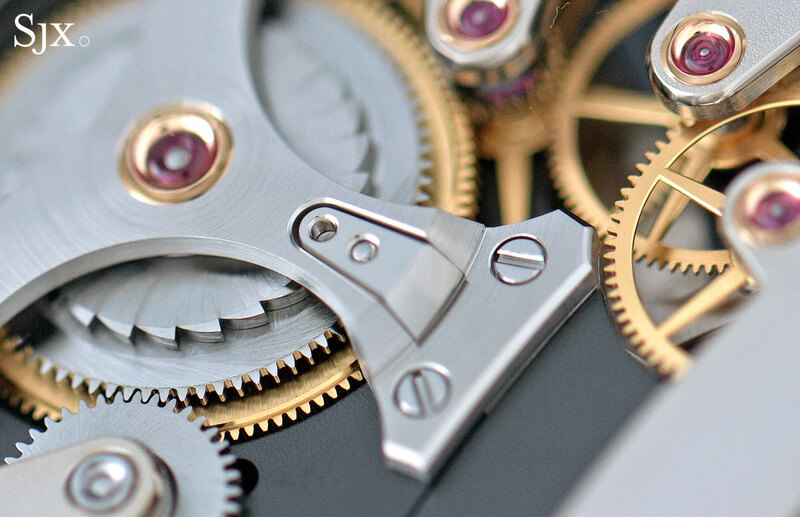 As expected, the spokes and rims of all the gears are bevelled, jewels are set in gold chatons, while the screws are all neatly polished and chamfered. 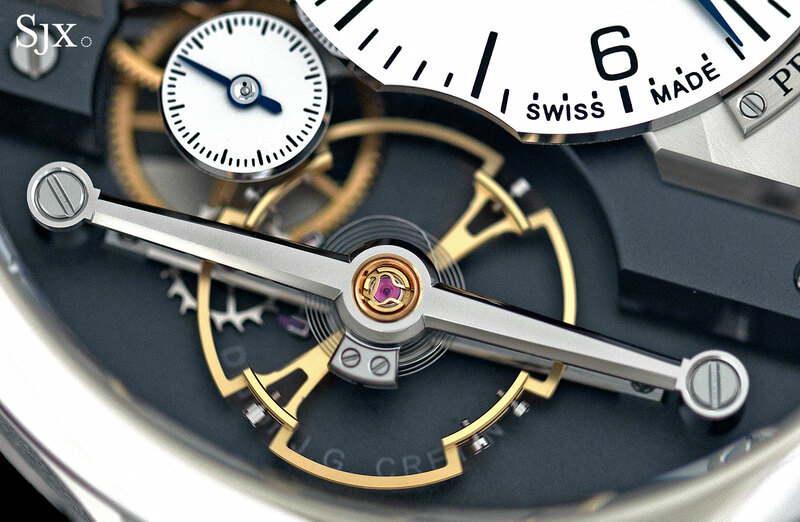 The Signature 1 is the first in a planned series of watches created by watchmakers working at Greubel Forsey. Didier J.G. 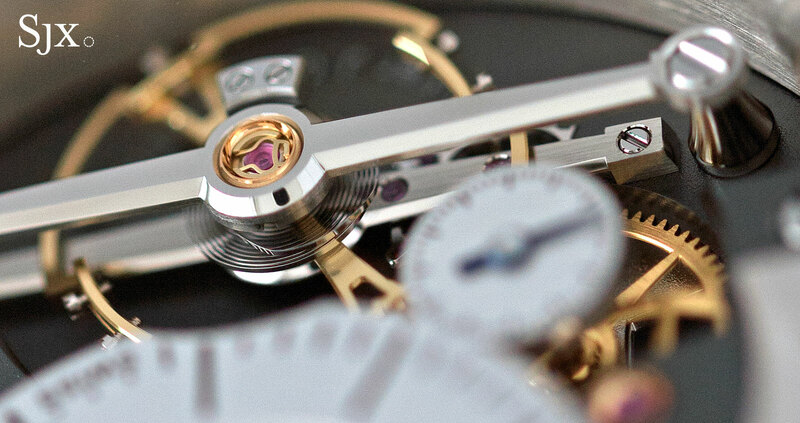 Cretin is the watchmaker responsible for conceiving the Signature 1, which is why his name is repeated twice on the watch, on the front and back. 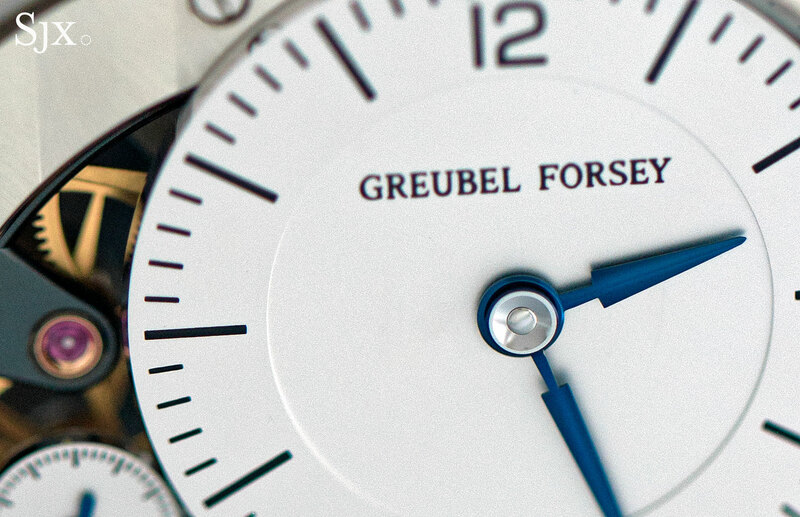 The names of Messrs Greubel and Forsey are also repeated twice, front and back, which is perhaps unnecessary. Little expense has been spared with the movement, that is patently obvious. But can it be better? That question might seem a bit ungrateful, given the undeniable quality of the movement. But still, the Signature 1 does still cost the same as a small flat. One detail that could be improved – though it is perfectly finished as it is – is the balance bridge. It is impeccable black-polished on the top, with expansive, polished bevels running along its length, with in admirably sharp corners on the pillars at each end. A more time-consuming method of finishing would be to round the profile of the bridge, as is done on the Patek Philippe ref. 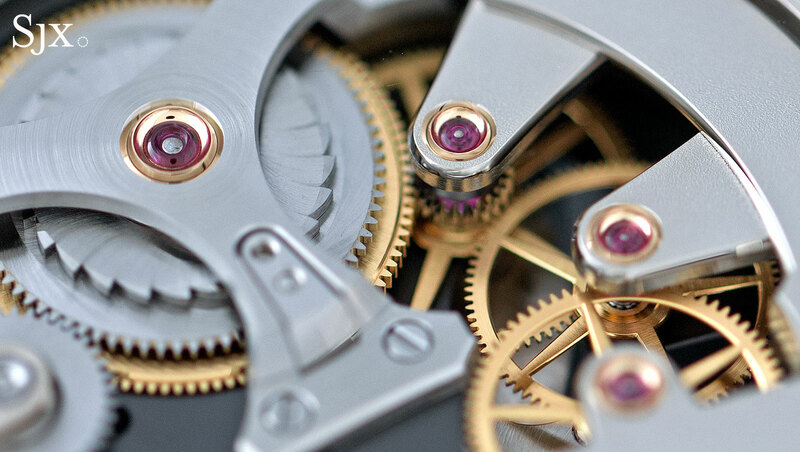 5101 10-day tourbillon for instance. And then there’s a question of compromise. 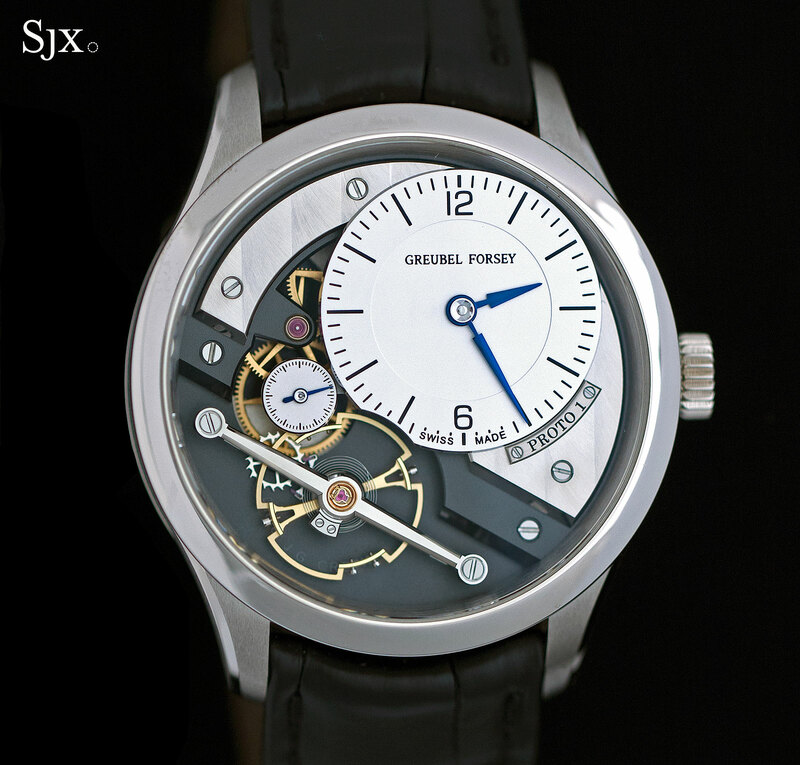 Greubel Forsey is best known for its incredible and exotic tourbillon wristwatches. A convincing argument can be made for most Greubel Forsey watches to be the best in their respective class – they really are that good. The Signature 1, on the other hand, feels like a bit of a compromise, relative to everything else Greubel Forsey makes. This is a problem Greubel Forsey created for itself by setting the bar so high. And the fact that alternatives to the Signature 1, like the Voutilainen Vingt-8, are widely regarded as best in class further compounds the problem. 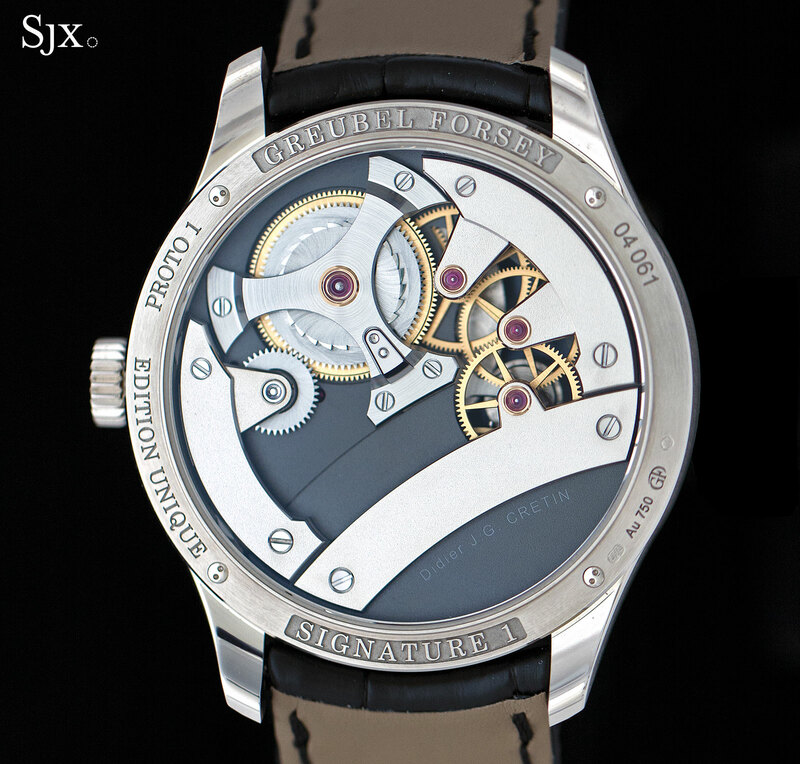 The Signature 1 in steel costs half as much as the next most expensive Greubel Forsey wristwatch, which is a tourbillon. Relative to the rest of the brand’s offerings the Signature 1 seems like a bargain, but it is still difficult to label this value for money. The Signature 1 is a limited edition of 33 watches in stainless steel, as well as 11 each in white or rose gold, as well as platinum, for a total of 66 watches. It is priced at SFr155,000 in steel, SFr170,000 in gold, with the platinum priced at slightly more. They will be available at Greubel Forsey retailers starting June 2016.